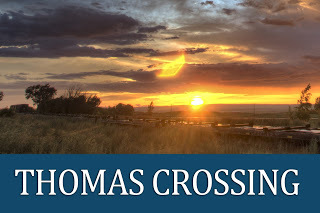 Thomas Crossing surrounds Southern Oaks Golf Course, designed by PGA Champion Mark Brooks. Not only does it have a beautiful view for living, it is located in the highly acclaimed Burleson ISD School District. There is a corner of Ft. Worth that is tucked near the quiet country setting of Burleson on the Southern Oaks Golf Course that houses the best of both words. Close to all the amenities, shopping and restaurants that you desire in Burleson ISD with the relaxing element of the golf course lined with trees and sprawling green grass. Thomas Crossing is also perfect for commuting into Ft. Worth making it an ideal John Houston Custom Homes community to call home. Here at John Houston Custom Homes, we strive to build relationships not just with our customers but within the communities in which we build. Community partnerships have long since been a very important part of who we are. Chick-Fil-A Waxahachie led by Philip Browne, is one of those community partners we are proud to work with to make our community a better place to call home. Spring is the perfect time of year to spruce up your home and curb appeal is a great way to start. Whether your home is new or old, the winter months tend to add a drab look to your homes exterior. 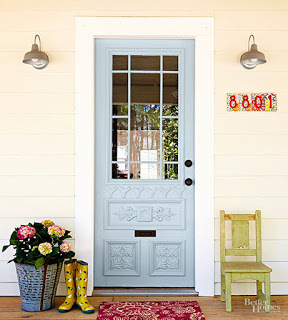 Check out this blog post from Better Homes and Garden to discover some easy and affordable ways to welcome spring with your home. CLICK HERE John Houston Custom Homes model homes are also a great way to get ideas for your existing home or to discover your dream home.